How Do You Spell SURF-BOAT? 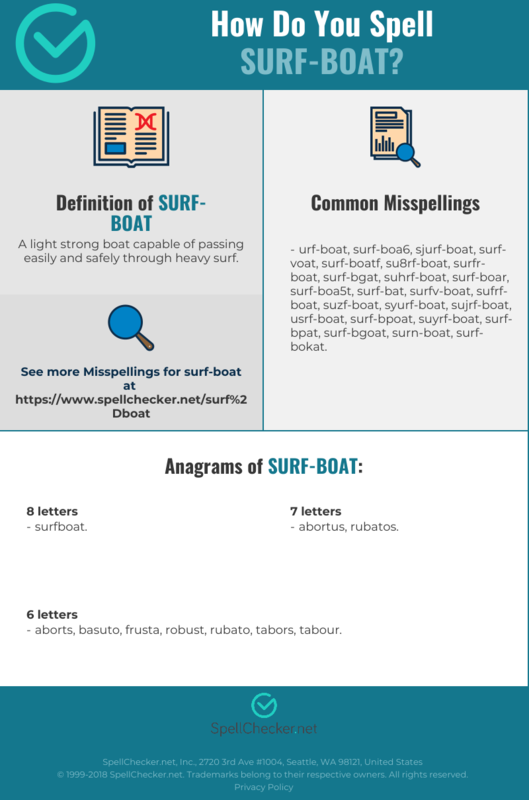 Correct spelling for the English word "surf-boat" is [sˈɜːfbˈə͡ʊt], [sˈɜːfbˈə‍ʊt], [s_ˈɜː_f_b_ˈəʊ_t]] (IPA phonetic alphabet). 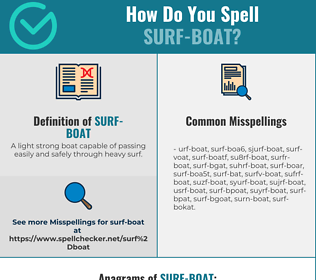 Below is the list of 196 misspellings for the word "surf-boat". A light strong boat capable of passing easily and safely through heavy surf.